Custom designed by Haverstick Designs, the room surrounds an API 1608-32 channel console which was treated for the ideal listening space. Acoustic treatments include comprehensive bass trapping, cloud absorption, custom wall absorption, and a custom-designed back diffusion wall encompassed by 12-inch wall bass trapping - all of which give the spaces a controlled and accurate sound. This space also provides great line of sight for our engineers and allows amazing flexibility in signal flow. 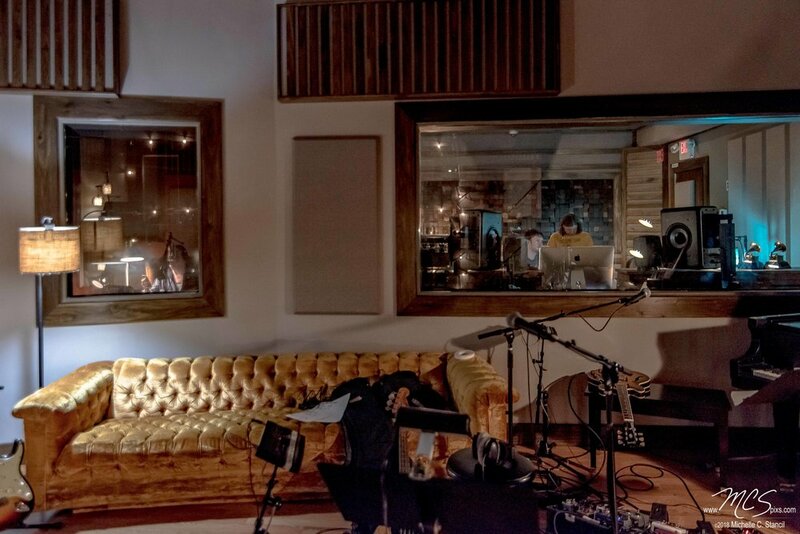 The live room and its four iso booths have each been acoustically tested and custom treated by Haverstick Designs. As the first studio ever to use Flex 48 panels by Acoustical Fulfillment, our live room enables us to manipulate the room's acoustics instantly by removing or adding diffusion shields to the Flex 48 panels.